When the Mac App Store launched today, users scoured the store for any trace of iWork ’11. The only version available is the 2009 edition with no news on an updated release. 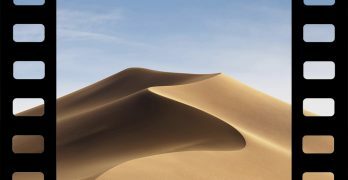 However, iWork ’11 could be coming sooner than expected or not. Apple took the liberty of dividing the iWork suite in to its individual Apps (just as it did on the iPad) selling them for $19.99 each. 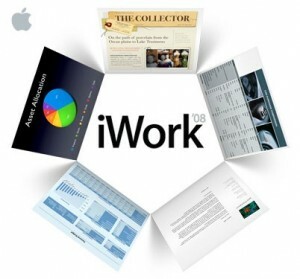 The only version of iWork available is ’09 but a slip hinted the next version isn’t too far off. 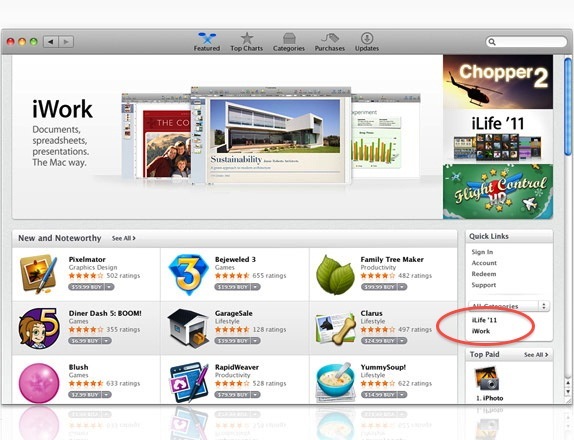 TUAW noted iWork ’11 was listed on the Mac App Store under iLife ’11 and was quickly pulled. This has fueled speculation that the next edition of iWork is approaching. It’s all coming soon. Stay tuned. However, the mention of iWork ’11 on the Mac App Store could’ve been a typo that wasn’t caught during quality control. Ah..what about the iWork ‘ll graphic?